Spice has launched the pinnacle FHD phone for Rs.16990 (~$280) in india , The phone features a 5.0-inch full-HD display (1080p) and supports 16.7 million colours. The device is powered by a 1.5GHz (probably mediatek MT6589T) quad-core processor with 1GB RAM. It runs on Android 4.2 Jelly Bean and has 8GB of internal storage that can be further expanded up to 32GB through microSD card. On the multimedia front, the Spice Pinnacle FHD sports an 8-megapixel auto focus camera accompanied by a dual LED flash and also a 2MP Front camera. The device is backed by a 2,100mAh battery. Other features include Wi-Fi, Bluetooth 4.0, proximity sensor, G-sensor, light sensor, Pop-up Play, FM Radio, Intelligent Answer, Flip to Mute, Direct Call and GPS/AGPS. 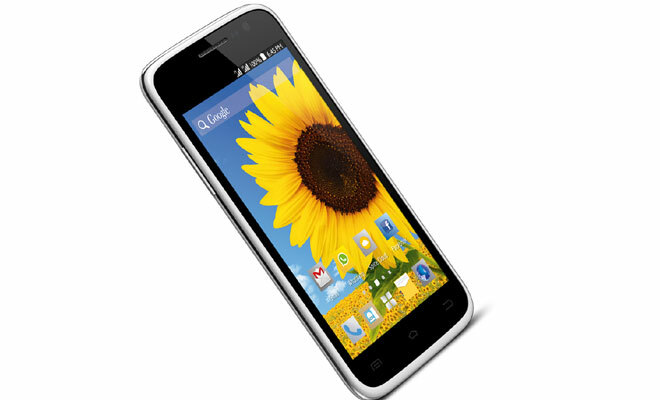 It is dual-SIM smartphone with 3G support on both SIMs. The handset also comes with 2GB free cloud data storage being offered by the manufacturer. Users can access the Cloud storage using the web interface. Currently, the handset is available for pre-booking at Saholic while it will hit retail stores from 20th July. The company has confirmed that the deliveries for pre-booking of Spice Pinnacle FHD will start from 20th July, 2013.